Flirt bird. Love ledger. Tomcat. Thomas H. Chippering, the tomcat of Tim O'Brien's hilarious TOMCAT IN LOVE is a philanderer, the man among men in every woman's eyes in his opinion, in his tone deaf flirtation with the women he encounters as he simultaneously attempts to wreak havoc upon his ex, Lorna Sue, her brother and the new beau/husband, a nameless Tampa tycoon. Tom is an English professor at a small Midwestern college where he has become famous for his lechery. As he builds his schemes for revenge against his dispassionate ex, the brother who seems to love his sister too ardently and the hirsute Floridian, Tom reels from being blackmailed by a pair of coeds, bound and gagged by a brace of bartenders and humiliated by a preschool student. Thomas H. Chippering is cut from the same clueless mold as Ignatius O'Reilly and Bertie Wooster. One wishes this tomcat well as he tries to learn how to love. And how to listen. But for a man who teaches preschoolers the quote "Out, out, damned spot," the world is rife with opportunities for missteps and blunders. 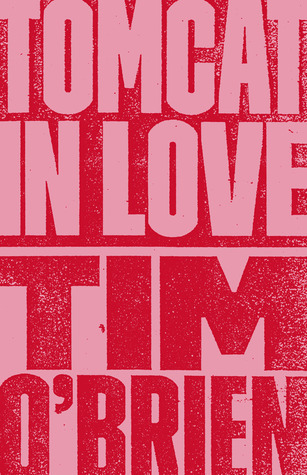 Sign into Goodreads to see if any of your friends have read Tomcat In Love.